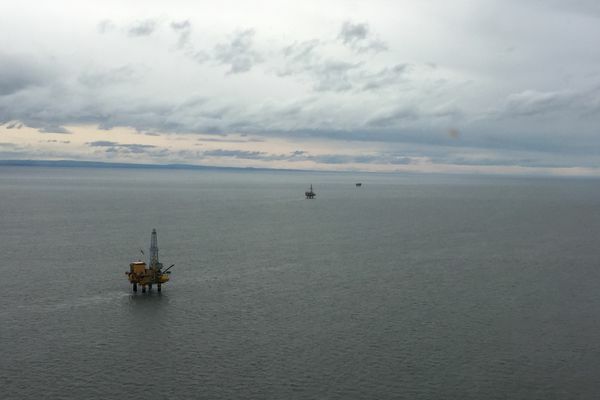 Three companies in Alaska's oil and gas industry have sued Gov. Bill Walker's administration over what they assert is a change in tax policy that could cost companies tens of millions of dollars. Two of the plaintiffs are big oil producers, ExxonMobil and Hilcorp. The third is a company that searches for oil, SAExploration, which says the policy has reduced the value of tax credits it's earned. 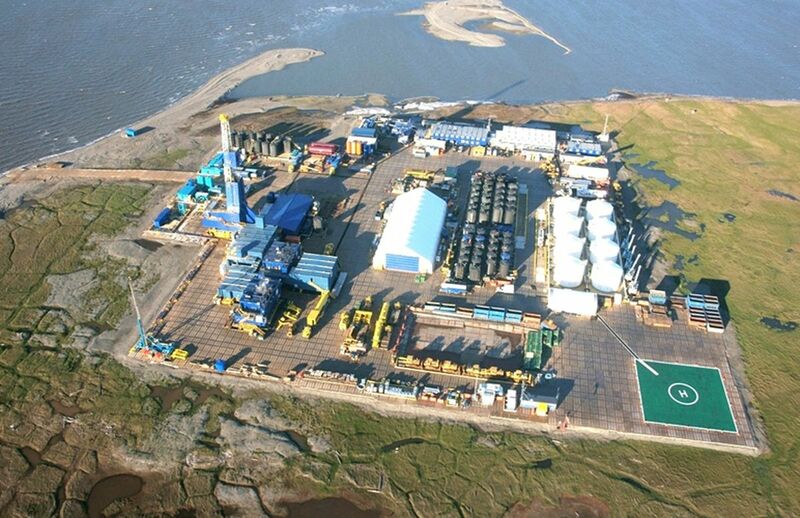 Hilcorp and SAExploration officials did not respond to requests for comment. An Alaska-based official at ExxonMobil declined to comment. A spokeswoman for the Alaska Department of Law, Cori Mills, said the lawsuit was under review. The companies filed their complaint in Anchorage Superior Court last week. Both sides have a big stake in the outcome, with the oil companies protecting their revenues and the state defending its petroleum-based income. Alaska's oil revenue is expected to be $1.8 billion this year, enough to cover almost half of the $4.4 billion the state spends on its yearly operating budget. The lawsuit targets what the state estimates as a total of $25 million over several years of retroactive tax bills, as well as payments in the future. The dispute centers on an important provision in the state's overarching oil-tax regime, which was set up by Senate Bill 21, the 2013 legislation. The legislation created what's referred to as a "sliding scale" tax credit. Companies can apply the credit to each barrel of oil production, with the value increasing as oil prices sink. At prices less than $80, the credit is $8 a barrel, then drops to $7 at prices between $80 and $90, $6 between $90 and $100, and so on. While Alaska's oil tax system is based on companies' profits, it also has what's known as a minimum "floor." That floor forces companies to pay a minimum of 4 percent of the value of the oil they produce, regardless of how much money they're making or losing. When the Legislature created SB 21, it specified that the sliding scale credit could not be used to reduce companies' taxes below the minimum floor. But the law did allow companies to use other kinds of credits to reduce their taxes below the floor. For the first few years of the law's existence, some companies paid less than the minimum by calculating their taxes in steps. First, they would use the sliding scale credits to cut their tax bills to or near the minimum amount. Then they'd use other credits to reduce it below. But last year, the state Department of Revenue, which oversees the state's tax system, issued a bulletin saying that the step-by-step calculation isn't allowed. Using the sliding scale credits at any point in the process of reducing taxes below the floor "would not meet the plain language of the statute," the department said. "Mathematically, under the commutative property, it does not matter in which order the credits are applied," wrote the state tax director, Ken Alper. The bulletin argued that the state adopted regulations after SB 21's passage that made it clear the companies can't combine the sliding scale credits with other credits to drop their taxes below the floor. When it issued the bulletin, the state said it would be retroactively applying its policy to the previous three years, as well as in the future. Officials initially said the change would cost companies a total of $50 million retroactively, though Alper, in a phone interview this week, revised that estimate to about $25 million. Alper said it took as long as it did to start enforcing the restrictions on the sliding-scale credits because of a lack of communication in his department. "We authentically did have a difference of understanding between one branch of tax division and another branch," Alper said. But, he added: "The people who actually administer the tax are the ones who were right." In their 19-page complaint, filed Thursday, Exxon and Hilcorp both say the bulletin subjects them to retroactive taxes, and steeper taxes in the future. "It did have a profound impact on the industry," said Kara Moriarty, president of the Alaska Oil and Gas Association, stressing that she was not commenting on the specifics of the lawsuit. SAExploration, meanwhile, doesn't produce oil. But another company paid it for exploration work with tax credits, according to the complaint, and SAExploration has said the state owes it more than $50 million. Because the state hasn't been budgeting enough money to pay all the cash tax credits it owes, SAExploration was intending to sell its credits to another oil company. That company would then use SAExploration's credits to reduce its tax bill below the 4 percent floor. But the state's tax bulletin now bars that practice, which has "drastically reduced" the value of SAExploration's credits, the complaint says. "It just really puts those guys in a tough spot," said Moriarty. The companies assert that the bulletin is inconsistent with state law, which allows the non-sliding scale credits to reduce companies' taxes below the floor. They also argue that the state failed to provide required public notice and comment opportunities. And they say they shouldn't have to pay taxes retroactively because they reasonably relied on public statements by state officials that the credits could be applied on a step-by-step basis.